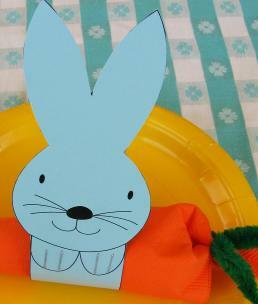 Here’s a little something for the children’s table at Easter —- a bunny napkin ring. 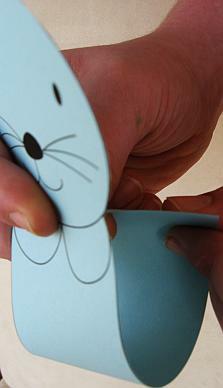 Print on colored card-stock then cut out. 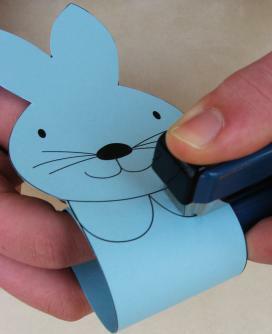 Roll end toward back of bunny head. 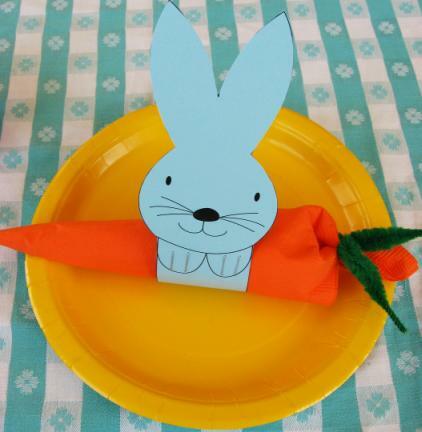 I wrapped silverware in an orange napkin then fastened with a green pipe cleaner and slipped the “carrot” into the bunny. If you have a hard time with the bunny standing up, a cotton ball glued to the back would provide stability and be a cute addition. You will find a matching Bunny Egg holder here. These are so cute! I have to remember to make these next year. I'm e-mailing my sisters so they can help remind me to do this next Easter. Very cute!